Just by the centre of the new town, the Mercure Cergy Pontoise Centre is ideally located close to public transport and the RER. This contemporary establishment has air-conditioned, elegantly furnished rooms. A warm welcome, quality services and modern fac ilities: everything available for you to work in peace and quiet or to relax in a calm setting. This is just the address for organising your seminars or a family trip. Discover Auvers-sur-Oise, the village chosen by Van-Gogh, during your business or leisure trip at this Mercure hotel. Benefit too from being close to Paris and the Charles de Gaulle airport. Welcome. Take advantage of our new room service menu with original products. Several room types at an attractive price, 4-star service included. Open 24 hours a day, we are available to ensure you enjoy a pleasant stay. 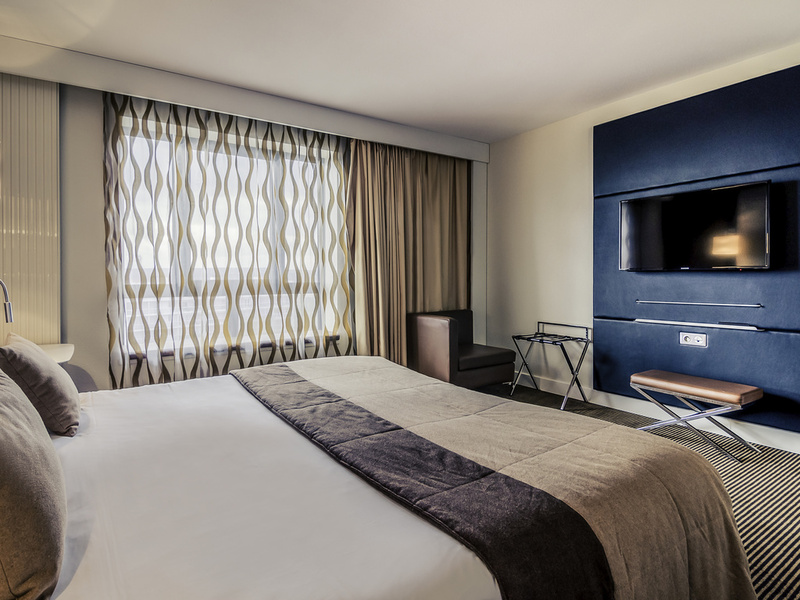 Enjoy a quiet and relaxing moment in our spacious and fully renovated rooms. We offer every type of comfort to satisfy you: Standard and Superior Rooms; Junior, Privilege or Terrace Suites. THE ASTREE BAR IS OPEN 24/7.